No need to fear raw eggs in eggnog. The eggs are gently cooked to kill any potential bacteria in this non-alcoholic eggnog. Since this is non-alcoholic eggnog, the kids will enjoy it as much as the adults. You will want to keep this rich and creamy eggnog on hand all through the holidays. Combine eggs, egg yolks, sugar, and salt in a heavy 3-or 4-quart pan, whisking until well-combined. Continue whisking while pouring milk in a slow, steady stream until completely incorporated. Turn on the burner to lowest possible heat setting. Place pan on burner and stir mixture continuously until an ​instant-read thermometer reaches 160 F and the mixture thickens enough to coat the back of a spoon. Be patient. This should take about 45 to 60 minutes. Strain mixture through a fine sieve into a large bowl to remove any accidental small cooked bits of egg. Add vanilla extract and nutmeg, stirring to combine. Pour into a glass pitcher, decanter, or container and cover with a lid or plastic wrap. Refrigerate this egg custard mixture to chill at least 4 hours or up to 3 days before finishing. When ready to serve, pour heavy cream into a bowl and whip until it forms soft peaks. Fold whipped cream into cold custard mixture until combined. 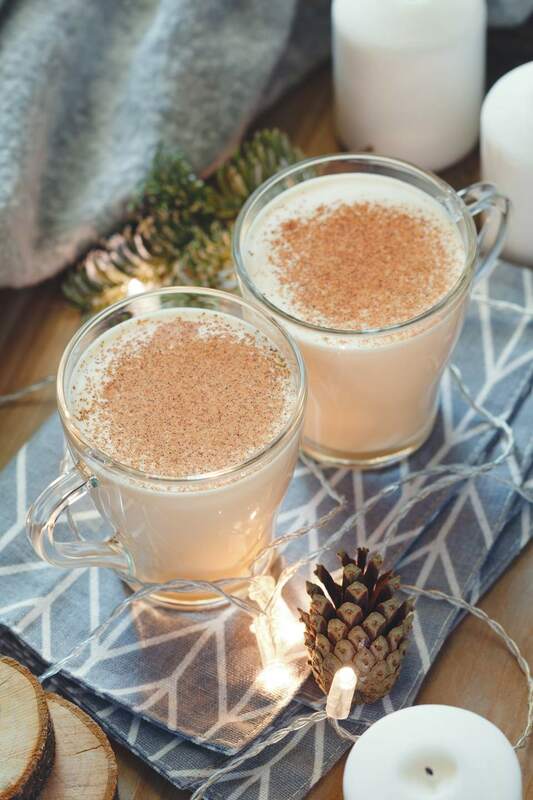 Serve eggnog in chilled cups or glasses and garnish with a sprinkle of nutmeg.